ROB CAGGIANO TO PRODUCE NEW VOLBEAT ALBUM! 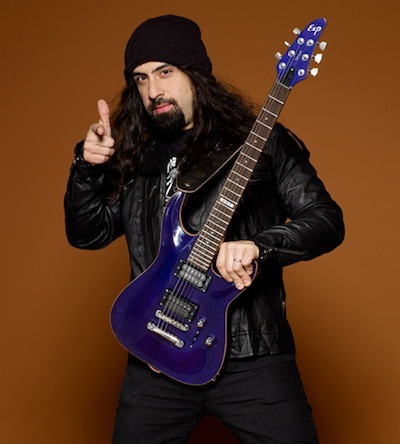 Former Anthrax guitarist Rob Caggiano hasn’t wasted any time whatsoever with his recent decision to leave the band and dedicate his career to production. In fact, Caggiano has entered the studio with Danish rockers Volbeat to twiddle the knobs on their fifth studio album, which is titled ‘Outlaw Gentlemen & Shady Ladies’ and due this spring. Volbeat will visit North America once again for a comprehensive tour with Danko Jones beginning in Dallas on March 6 and concluding in Philadelphia on April 11. Next month Buckcherry will release Confessions, their sixth studio album and a concept record based on the seven deadly sins. Watch the premiere of the video for single Gluttony brought to you excluisvely by Noisecreep. 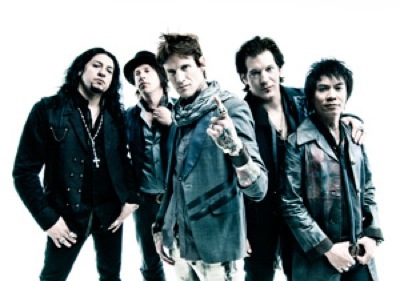 Buckcherry are in the middle of a North American tour, and beginning February 2nd, they will be joining Kid Rock on the “Rebel Soul” Tour. See tour dates below. Confessions will be released on February 19th through Century Media. Pre-order the CD/DVD Deluxe edition here. 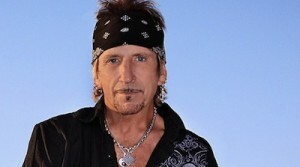 Former Great White frontman Jack Russell will play an acoustic show next month to mark the tenth anniversary of the fire that killed 100 people including guitarist Ty Longley. The Station nightclub in Rhode Island burst into flames during a Great White show on February 20th, 2003, as a result of the band’s pyros making contact with flammable soundproofing foam. Within six minutes it had become the fourth-most-deadly club fire accident in US history, injuring 230 along with the fatalities. The singer will play at Saint Rocke in Hermosa Beach, California, on February 7th. All proceeds from the show will be sent to the Station Fire Memorial Foundation. DAVE GROHL RELEASES NEW COLLABORATION WITH COREY TAYLOR, RICK NIELSEN AND SCOTT REEDER FROM NEW FILM, SOUND CITY. Dave Grohl has released a new song, “From Can To Can’t,” featuring Corey Taylor (Slipknot/Stone Sour), Rick Nielsen (Cheap Trick) and Scott Reeder (Kyuss). You can listen to the song below. 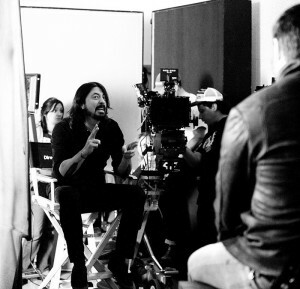 The song comes from the upcoming soundtrack to the film Sound City, a documentary Dave has produced and directed about the infamous recording studio in Van Nuys, CA. Told through interviews with many of the artist’s who have recorded there, the film will tell the story of the incredible history of the studio, focusing on the legendary albums created there – including albums by Fleetwood Mac, Elton John, Tom Petty, Johnny Cash, Neil Young, Santana, Cheap Trick, Dio, Tool, Rage Against The Machine, Red Hot Chili Peppers, and Metallica. Grohl, Taylor, Nielsen and Reeder have all recorded at Sound City and also appear in the film. Dave has a long history with Sound City, having first recorded there in 1991 while making Nirvana’s “Nevermind,” an album that arguably changed the musical landscape forever. He had the idea to make the film after he purchased the studio’s Neve 8028 console last year. Built in 1972, the console is widely considered to be the crown jewel of recording equipment, and is the very console used to record many of these legendary albums. The film comes out on February 1, 2013 and the soundtrack will follow on March 12. For the soundtrack album, Dave wanted to capture the human element of creating music, so he enlisted many of the diverse musicians who have recorded at Sound City and convinced them to team up and write/record brand new original songs on the spot. Included on the soundtrack is “Cut Me Some Slack,” the collaboration between the surviving members of Nirvana and Paul McCartney – first heard when they performed it together live at the 12.12.12. Concert for Sandy Relief. The album is available for pre-order now on iTunes. Check out the trailer for Sound City! Check out “From Can To Can’t” here! Thanks for all the response to the new site and the many new features. Lot’s more coming including the return of the members side, new audio and video and much more. For those interested in advertising with us that info is available in the contact us tab. Thanks for all the kind words about this new site design. Many comments, some I responded to, about my Top 10 albums list. Hysterical to see the assumptions that are so wrong so many come up with. It’s MY list of what I TRULY loved from 2012. I NEVER felt the need to be someone I’m not and pretend to add or like things just to appear hip, current or cool. So you like what you like and that’s what I TRULY liked with no other agenda regardless of what you believe.I love all opinions and respect all, but its stunning the conclusions people come up with. Wow! I do not know when new episodes of That Metal Show will be shot! I hope to know by the end of this month what the plan is. All decisions 100% up to VH1, NOT ME! I’d do it every week if it was up to me. Thanks for the support, news I hope soon. Thanks to all who came and said hello in Boston this past weekend at the NE Motorcycle Expo. Appreciate Sickboy having me all weekend. Check out their clothing at www.sickboy.com Great people and cool shirts. Also cool meeting Theo Rossi (Juice) and Kim Coates (Tigg) of one of my favorite shows Sons Of Anarchy over the weekend. Theo is a Staten Island guy and it was like I’ve known him forever. Hope to have him on the radio show soon. New Tom Keifer sounds cool. It’s out in Feb. Nice to have new music from Tom solo since Cinderella is not making new music. Picturehouse, the full-service independent film marketing and distribution company started in 2005, is reopening its doors with founder Bob Berney at the helm. Picturehouse’s first new release will be Metallica Through The Never a feature film starring members of the iconic rock band and Dane DeHaan (Chronicle, The Amazing Spider-Man 2). DeHaan plays a young band crew member who is sent out on an urgent mission while the band is playing a rousing live set in front of a sold-out crowd and unexpectedly finds his world turned completely upside down. The film, written and directed by Nimród Antal (Kontroll, Predators), is due in theaters August 9th. 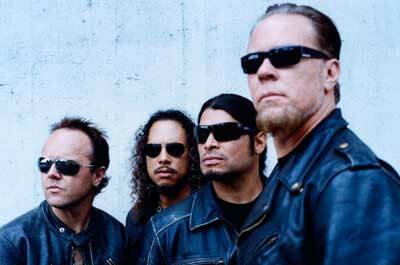 One of the bestselling rock acts of all time, Metallica has sold over 105 million albums worldwide. Read more at Deadline New York.